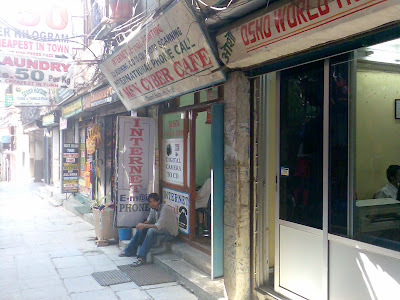 After Covering my favorite guest house in Thamel, It's time for Internet places. Actually there are so many, and you can't really try them all. Just like you can't try every hotel around here. Prices of Internet vary from 15-30 rupees per hour. The main differnece is on the connection speed and services, such as Skype, microphone, earphones, messenger that are already install on the computer. If you get to a place where your favorite software is not installed, it very OKAY just to download it and install it by yourself. I personally download to installation files on my disk on key, so whenever I need one of the programs I just install it from there. It's a good way to save some valuable download time. The fastest connection I found is at "MSN cyber cafe". It costs a little more (3o Rupees per hour, which still makes it 0.5$ per hour….not too bad…) but the connection speed is great. especially in the morning time. 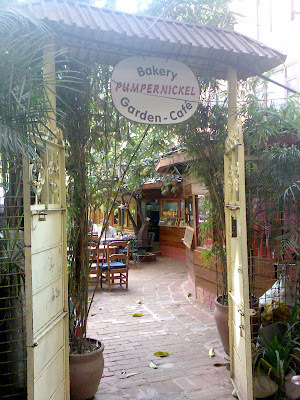 It's situated across from the Pumpernickel Bakery( great sandwiches, try it!) at the heart of the Thamel.